Patchwork Wallpaper: Where? When? How? 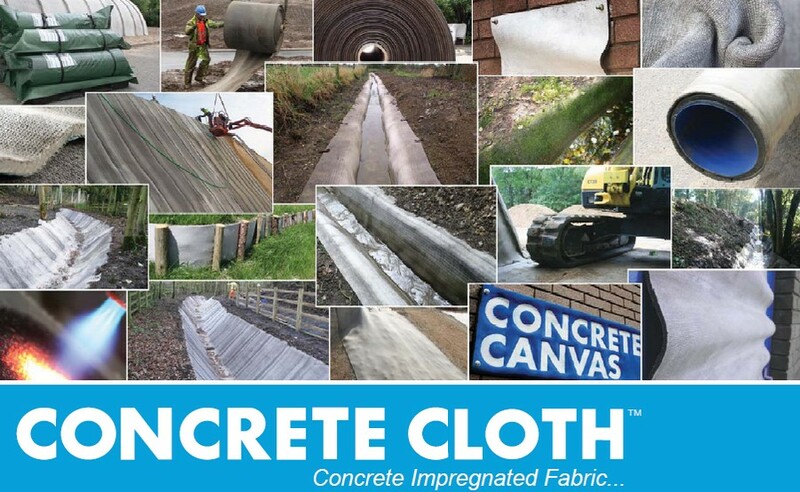 Concrete canvas is a piece of cloth with waterproof backing soaked in a special dry substance. This revolutionary building technology was invented about 15 years ago in Great Britain. 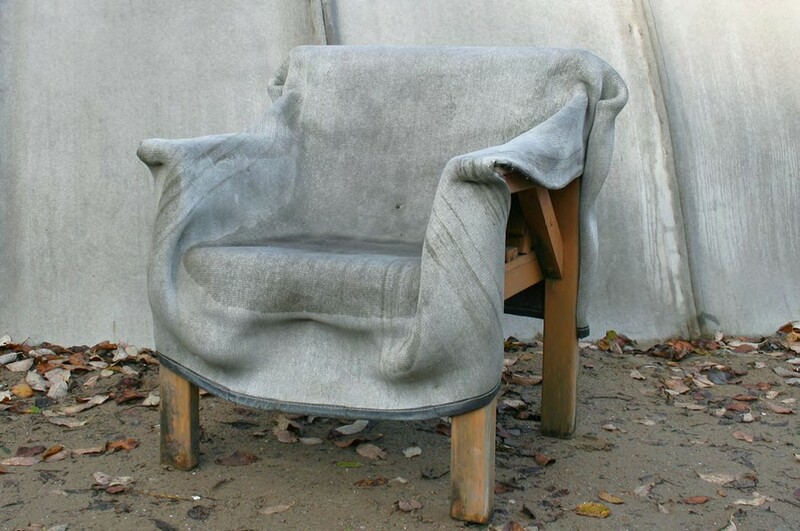 The history of Concrete Canvas Ltd. Company started from a creative idea of two students of the Royal College of Art – Peter Brewin and Will Crawford, who were studying technologies of industrial design there in early 2000s. Together these talented young men generated an idea of a technology that will help to create linings for versatile surfaces. Being inspired by features of concrete, their invention, however, managed to surpass this material in many aspects. In the year 2005 they already launched a company for producing their concrete canvas. 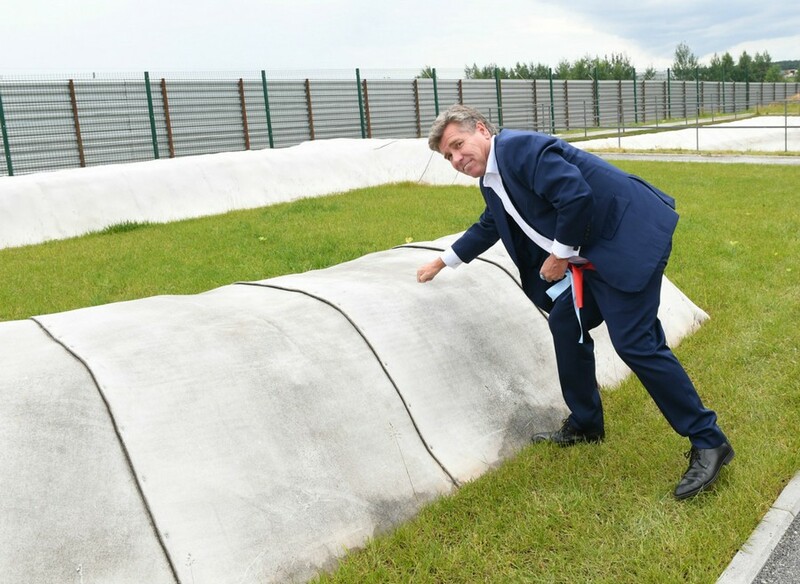 The unique product has an amazing speed of laying output – up 200 square meters can be covered with concrete canvas within just one hour. 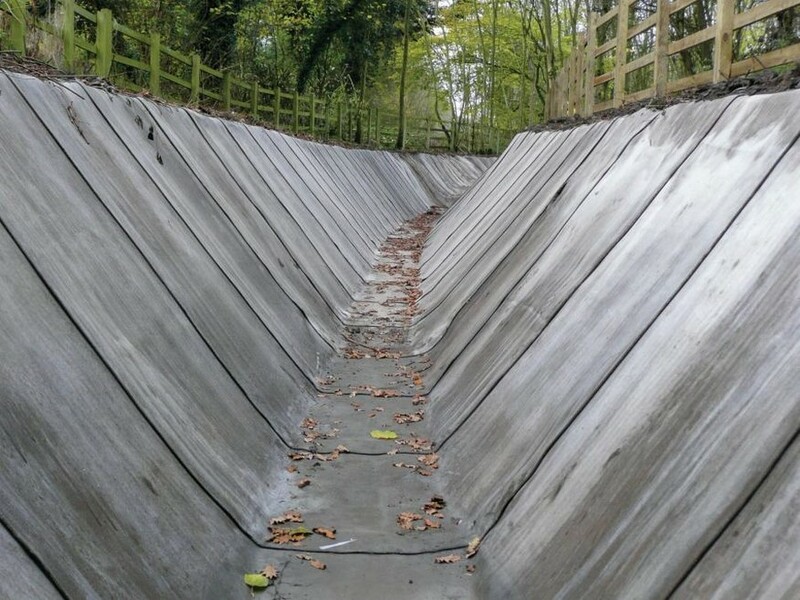 Unlike common concrete, innovative canvas needs just a couple of hours to harden and can be laid even in the rainfall. This solid mini-shelter, for example, can be erected within just a few minutes and is expected to serve for more than a decade. The structure of the canvas is immune to cracks and it is more wear-resistant than traditional concrete. One of the best things about this material is its flexibility – it follows even subtle topographies of the surface. In a word, being firm and solid like concrete after soaking in water, it is soft and flexible like common cloth before hardening. 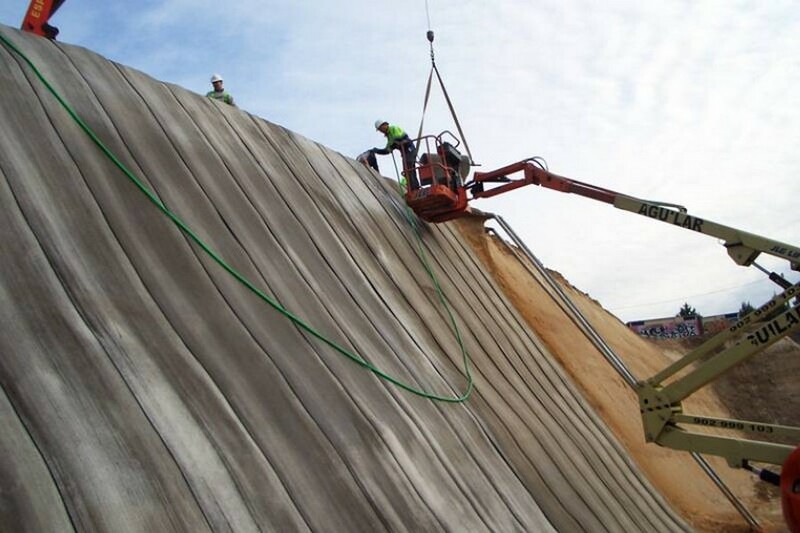 Concrete canvas can be laid even on unprepared surfaces, which makes it irreplaceable in protecting slopes with soil erosion from weather conditions. Being far better than common concrete from several aspects, concrete canvas technology is cheaper. Concrete in rolls can be used in absolutely versatile spheres, including road construction, railway, mining industry, petrochemical industries, agriculture, urban economy and common gardening and landscaping. 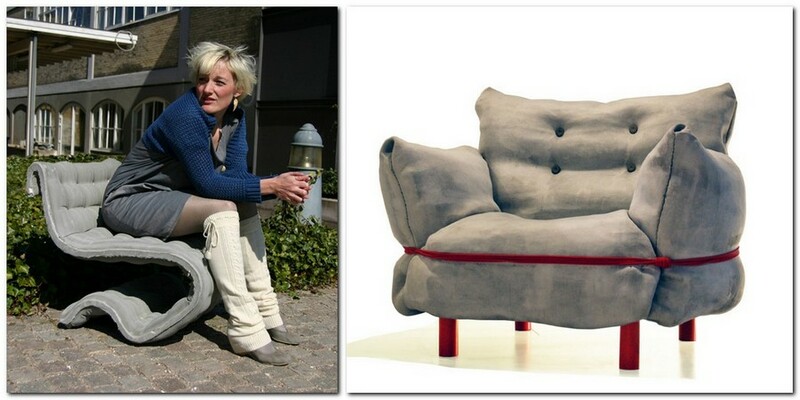 And creative contemporary designers already study the aesthetical potential of concrete canvas for interior design. 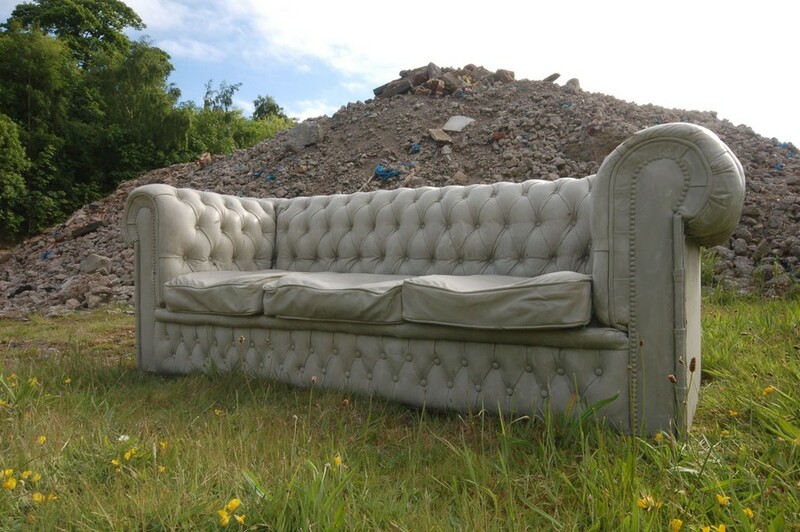 Even the iconic Chesterfield sofa model can be reproduced in concrete canvas!